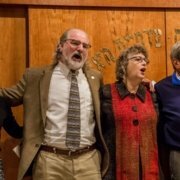 Hundreds of people attended a vigil at a local temple Sunday night in memory of the 11 people killed in a synagogue in Pittsburgh on Saturday. “Regardless of our faith and traditions, we are all one and that is one human race,” said Haleh Karimi, the executor director of Interfaith Paths to Peace. 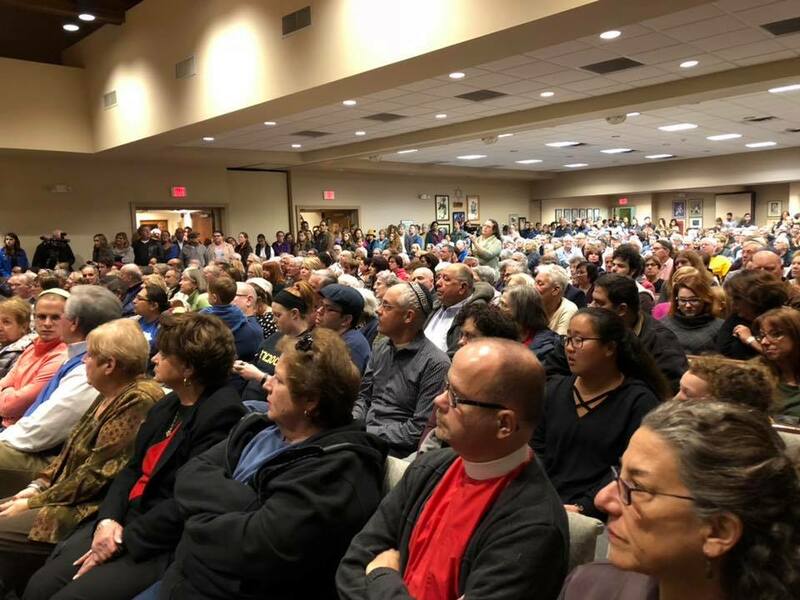 It was standing room only at Temple Shalom as more than 200 people gathered to honor those killed at the Tree of Life Synagogue. For many, like Rooks, the news of Saturday’s shooting came as a painful shock. “That this could happen on such a sacred day in the synagogue, I couldn’t believe it,” Rooks explained. “I have been through too many of these, as we all have,” said Rep. John Yarmuth, who attended Sunday’s vigil. Yarmuth called people of every faith to action. “We have to commit ourselves to pushing back against hatred, racism, bigotry in any form,” Yarmuth said. Many joined hands as rabbis from throughout Louisville shared messages of peace and led the crowd in prayer. “When we come together as one, that’s when we can recognize each other’s similarities and be able to connect as one,” Karimi said. Rooks said these tragedies can only be stopped if people open their hearts to one another. “I think that if you can sit down with someone and show them pictures of your kids, and share a meal, break bread together, get to know who they are and their hopes and dreams, and see them as human beings,” Rooks said.